Cinema started as an entertainment business more than an art business; it was a brand new technology and an art form whose artistic potential was not suspected. There were no filmmakers, only people deeply interested in storytelling and moving images. These people who had never seen a film had to start somewhere and they used what they knew about other arts such as theater, literature and painting to start working. Using some elements of these art forms allowed the first filmmakers to be understood by the spectators who recognized the forms of the other arts. In “Film History: An Introduction”, David Bordwell and Kristin Thompson explain that this was the genesis of the Classical Narrative Mode. This is a series of conventions that are expected by the viewers when they enter the projection room. Filmmakers aligned to these conventions in order to help viewers understand the film and satisfy their necessity to find meaning in what they see. These movies are not inherently bad in any sense, but they are designed to be seen in more passive positions by the viewer. With traits such as a clear timelines, conclusive endings, and characters with explicit and clear psychological patterns, the viewers do not ask many questions apart from what is going to happen next. This other important trait of the mode is a consistent story of a clear anecdote happening to a specific character or group of them. To be universally understood means being universally seen. That is why even though the mode was challenged during the 50s, 60s and 70s by several filmmakers, it is still hegemonic. The Classical Narrative Mode is not necessarily easy to make, but indeed is easy to see. We have seen some of the greatest masterpieces of cinema use this mode but sometimes we want to be challenged. Sometimes we want to be confused and struggle to understand what are we seeing and why. For that times, here is a list of 10 still working directors who have broken or challenged the Classical Narrative Mode. David Lynch attended Pennsylvania Academy of Fine Arts (PAFA) and started more like a plastic artist than a filmmaker before striking in with his first film: “Eraserhead” (1977). This film was an anticipation of what was to come in Lynch’s career. Negligent with the viewer when it comes to clear meaning, his ominous and dark films are full with inexplicable events such as the appearance of a singing girl with disgusting cheeks on a stage, or a human dirt-like monsters whose existence should be confined to dream. Precisely, in the cinema of Lynch, the line between reality and dream, or more precisely nightmare, does not exist. Just like in nightmares, the movies do not end up explaining why we have seen those inexplicable horrors. Lynch is often described as a musical filmmaker, because his films do not rely on a clear meaning or explanation but in the accumulation of moments to create a dreamlike experience that we might not completely understand but surely feel. What one can say about “Lost Highway” is that it is a film about transformation. During the first half of the movie we follow a story about a saxophonist whose house is being videotaped by a mysterious and disturbing little man. He tries to stop this and find out what is going on, while a violent side of him starts emerging. Eventually he gets caught in a kind of jail and wakes up as another – younger – man without any explanation. The film itself transforms and starts a new plot about this new young man who is seduced by a woman who appears in the first story. The man who was videotaping the house appears again as this new lead character decides to murder someone. Eventually the saxophonist appears again without any explanation. There is no apparent psychological pattern to explain the transformation, there is no conclusive ending that explains it, and the event of the transformation in itself is not clear. The understanding of the transformation is very ambiguous and thus free, and thus hard. Just two years after “Lost Highway”, Lynch proved that he knows what he is doing with the only exception to his cryptic cinema, “The Straight Story” (1999), a film in which everything is clear, one which uses the Classical Narrative Mode. With this film Lynch showed the world that he is not improvising; he understands the Classic Mode and decides to make other kind of films. When seeing a film from this Swedish filmmaker, we immediately understand that is not going to be a normal film. These films are not located in our reality but in another one, completely different but still eerily similar. 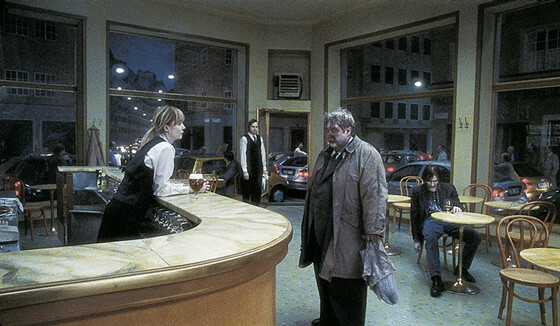 By getting rid of realism, Roy Andersson manages to express latent but hidden truths. Each of the scenes in the films of Anderson are made strictly from one take. He takes to the extreme the cinematic mise en scène described by André Bazin of conveying meaning not through cuts, but through the camera emplacement in relation to the actions and elements in the scene. Bazin explains that this technique rejects the “arbitrary fragmentation” of scenes, forcing the viewer to choose for himself how to arrange what he is seeing. Giving freedom to the viewer is a trademark of Andersson’s films. In them we do not see a “single big story” but alternated fragments of the lives of some characters in a world where clearly something is going on, but where we are not seeing specifically what. He makes a focus on what would be the background of another kind of movie, and makes us wonder what makes all these characters behave the way they do and what is going on with that strange world. As there is no “great big story” there is no “great big character.” There are just secondary/lateral actions that are focused while something big is going on. For example, while a man tries to trick some insurance agents, we see huge rows of people in what appears to be a religious procession. Later in the film we see a mass sacrifice of a little girl; the relation with the procession is not established, thus it’s up to us to make it. The city in which we are immersed appears to be in fatigue. Their extreme makeup emulates dead people. This fatigue is accentuated by the one scene-one shot technique of Andersson, making clear that something has broken the people in this city, but we never know what. The ending of the movie feels right but not because it’s dramatically conclusive, thus providing a meaning or explanation. It feels right because, as a symphony it gives us an emotional conclusion, and it leaves us with more questions than the ones we had before seeing the movie. This Argentine filmmaker defies the Classic Narrative Mode expectation that a clear and concrete anecdote has to happen in order to make a film. She is an observer of the ordinary, able to see what is commonly ignored. She writes and films characters with a unique intimacy, making them feel as human as ourselves. A distracted viewer would say that nothing is going in the films of Lucrecia Martel, but the scenes and shots of her films are filled with life. Indeed she does not have dramatic excuses for some scenes, but this is just because the films do not focus on the dramatic development of a character or a plot, but (like a painting) in displaying intimacy and creating an atmosphere. Martel focuses on the struggles and pleasures of daily life, as she is extremely naturalistic. As in real life, many moments that appear important are interrupted by unexpected events, and some are taken over, but others are forgotten. Only a few if any things are concluded. But this should not be confused with a random collage of moments; Martel creates a flow of atmospheres and feelings that, as with most of the filmmakers on the list, can be more similar to a piece of music than to a Classic Narrative Mode film. In “La Ciénaga” there are no lead characters, it is a choral film in which each character struggles with their own lives. The film does not give priority to any character or to any problem, breaking the mechanism of a single character with a psychological pattern that we follow through a cause-effect plot. We are introduced into the intimacy of the characters. We see them in their ordinary life and, as in our own lives, there are many events and plans whose consequences we never see. In opposition to a Classic Narrative Mode film, in “La Ciénaga” events do not have to be concluded nor remembered. With this treatment, Martel displays how we truly live. The characters as ourselves talk constantly about the future but the future never comes, there is only the present. The author of the Revenge Trilogy is one of the directors on this list who uses the narrative mechanisms of the classic approach in his favor and then subverts them. His trait is avoiding conclusive endings expected by viewers due to his use of the Classic Narrative Mode. Chan-wook Park rejects naturalisms with a saturated aesthetic and a dynamic montage. He has developed a fictional universe (like Wes Anderson or Edgar Wright) for his films where the people behave in a unique way. His films take the characters and us to borderline circumstances with effective cause-effect chains of events in which characters and timelines are clear. But when it comes to conclusion, Park becomes skeptic. He refuses to end his films with clear endings, and thus the classic mechanism is disrupted. Originally “Oldeuboy”, the second delivery of the Revenge Trilogy displays a classic technique to develop an intense plot in which a man who has been kidnapped for more than 10 years tries to find out who kept him in captivity and why. The classical approach holds until he finds out who and why kidnapped him. In the search for revenge, he finds out his actions are part of a bigger revenge plan, and what he finds out is unbearable. 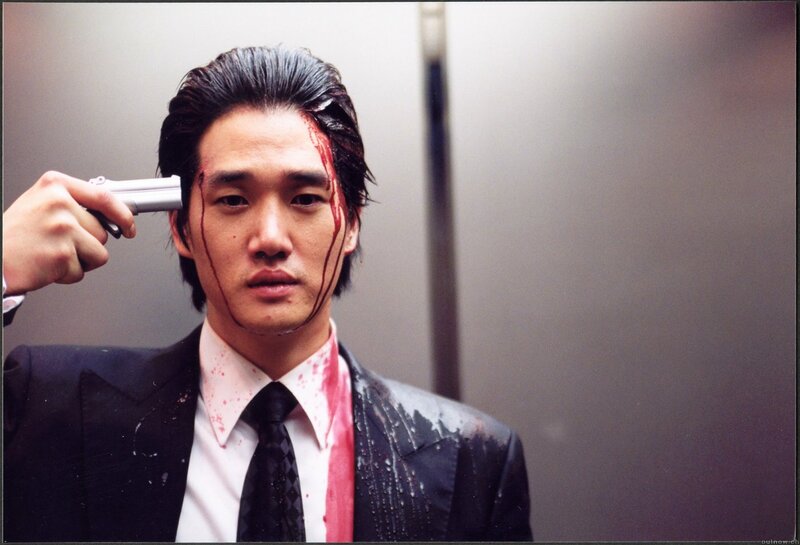 With the revelation of the revenge, Park starts breaking with the classical approach. After everything Oh Dae-su has been through, the viewers are hoping to know what is going to happen to him. But Park delivers the end of the film with a scene that breaks with the expectations without clarifying what happen to Oh Dae-su, enhancing the film’s idea that truth can be unbearable. The style of this Portuguese filmmaker does not rely on a massive crew or a big budget. He is an ascetic artist focused on the real neighborhoods of Lisbon. He works with non-actors and non-traditional lighting. Costa makes films in the thin line between fiction and documentary. Describing the plot of the Costas’s films is as hard and frustrating as describing the plot of Samuel Beckett’s plays. Nothing is happening, nothing is changing, and nobody moves. The characters appear to be trapped in the sets of the films. Yet, as with Beckett’s plays, the films are extremely powerful. As with Roy Anderson, Costa rejects the fragmentation of a scene in several shots in order to give the arrangement freedom to the viewer and enhance the fatigue of the world he is displaying. 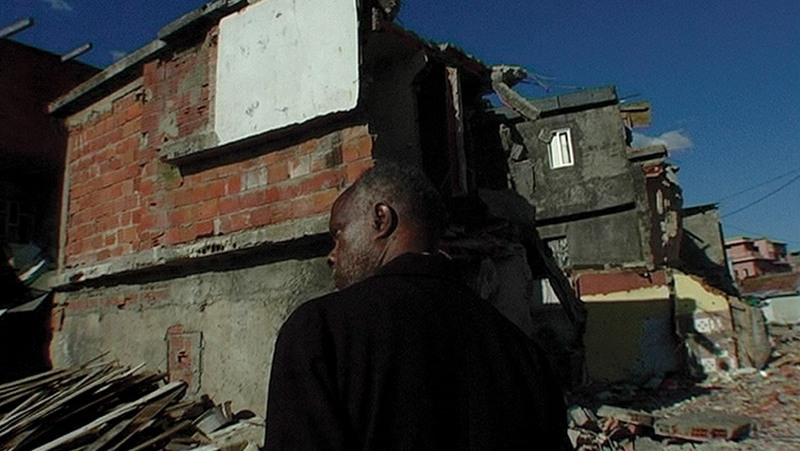 “Colossal Youth” is a nearly three-hour film in which Ventura, a character that appears constantly in Pedro Costa’s Fontana’s Trilogy, visits the almost collapsed houses of the inhabitants of the Lisbon neighborhood which he calls his sons and daughters. Ventura has the same conversations with his “sons and daughters” over and over. The places and the internal arrangement of the shots is the same, and the film appears to lack movement. But through this apparent lack of movement (which is would be avoided in a Classic Narrative Mode), Costa captures the desolation of a world. The universe of the film might as well be a post-apocalyptic one where the best days have clearly passed.